We have come to the end of the season of Lent. Today is Holy Thursday, which commemorates the institution of the Lord's Supper. 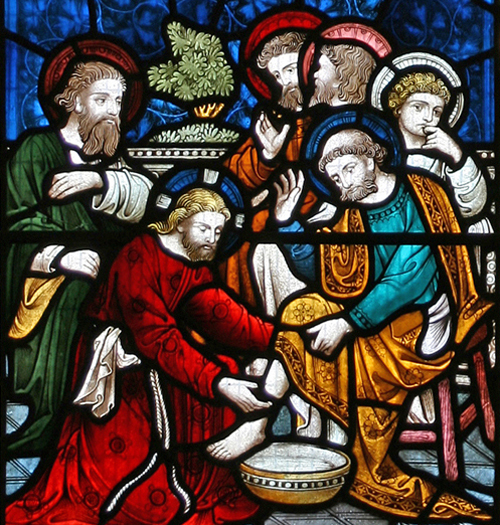 It is also called Maundy Thursday because of the new commandment Jesus gave His disciples to love one another (maundy comes from an Old Latin term for “mandate” or “command”). James, the brother of the Lord Jesus, understood the law of love: “If you really fulfill the royal law according to the Scripture, ‘You shall love your neighbor as yourself,’ you do well” (James 2:8). In his Gospel, John called Jesus “the true Light which gives light to every man coming into the world” (John 1:9). In Christ we no longer belong to the darkness, which is passing away, but are of the light, which is already shining. The essence and expression of this light is love. Those who do not love are living in darkness; those who walk in love are those who walk in the light of Christ — it is, in fact, his love which is being expressed through them. Love is about much more than refraining from harming another. Love is proactive — it is the nature of love to give and to serve. In Jesus Christ, we belong, not to that which is passing away, but to that which has already begun to shine. When we walk in love, we are abiding in the light of Christ.